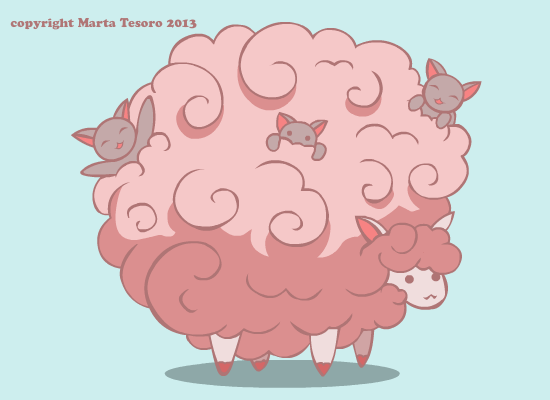 I had fun drawing the sheep yesterday so I decided to do another version with kittens this time! I like cats...though liking them clashes with my like of fish too. I like these sheep things....so cute!